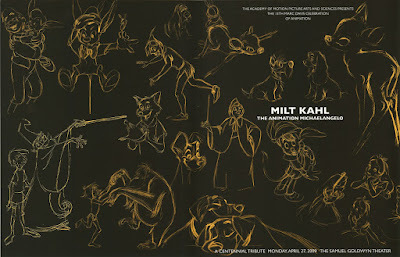 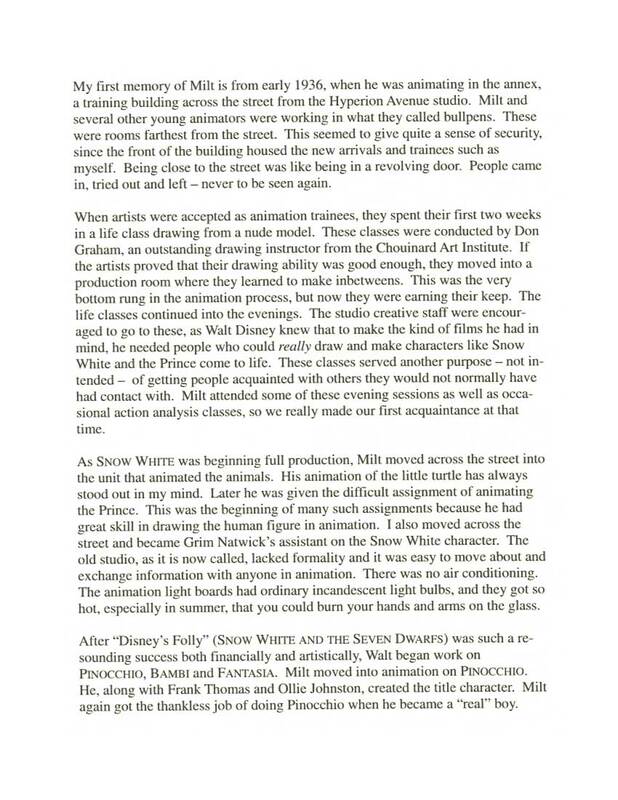 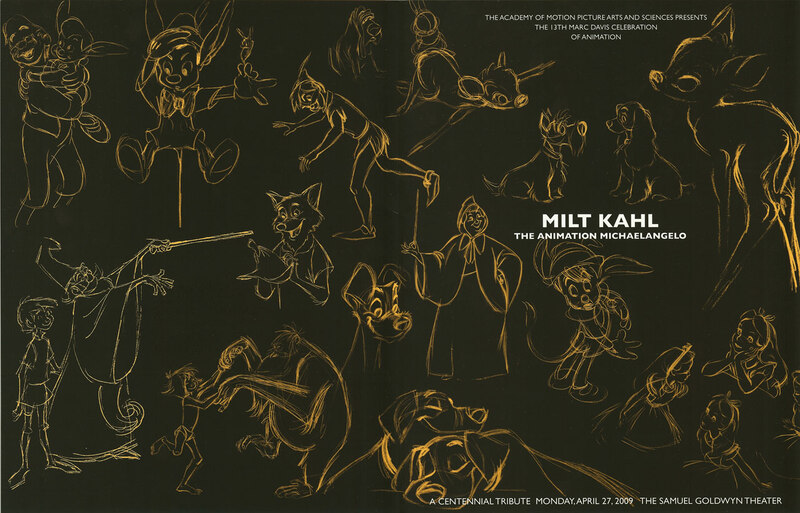 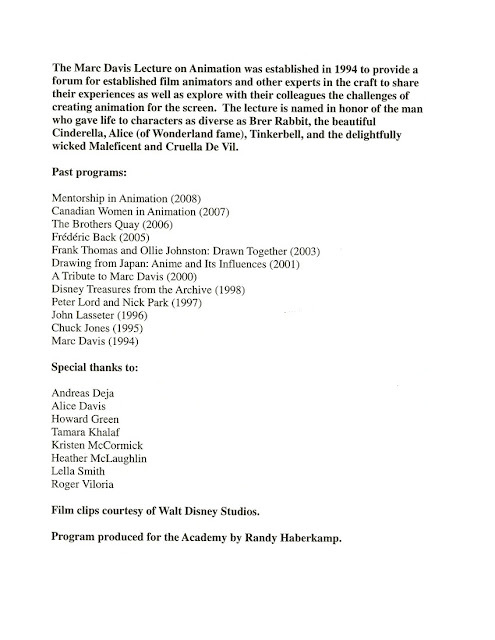 Gosh...it's been almost eight years since the Academy of Motion Picture Arts and Sciences paid tribute to Milt Kahl. 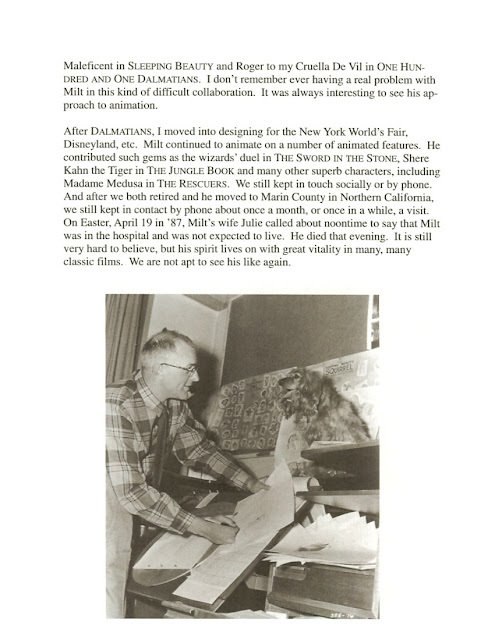 Allow me too brag a little, but way back Milt's 100th birthday was coming up, and so as an Academy member I suggested a celebration of his genius, which I would host. 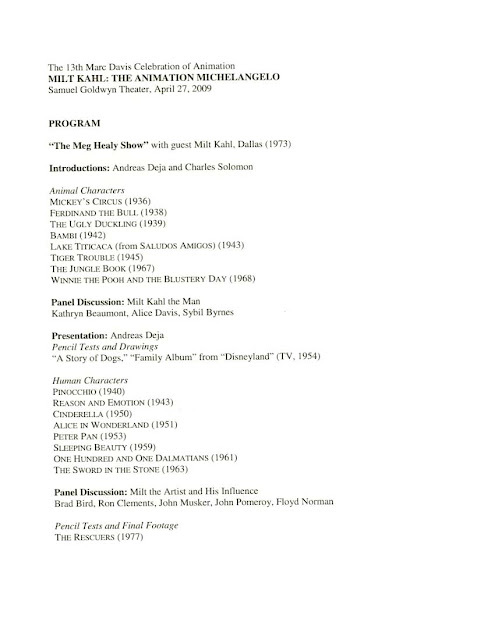 The event was incredible, a packed house. 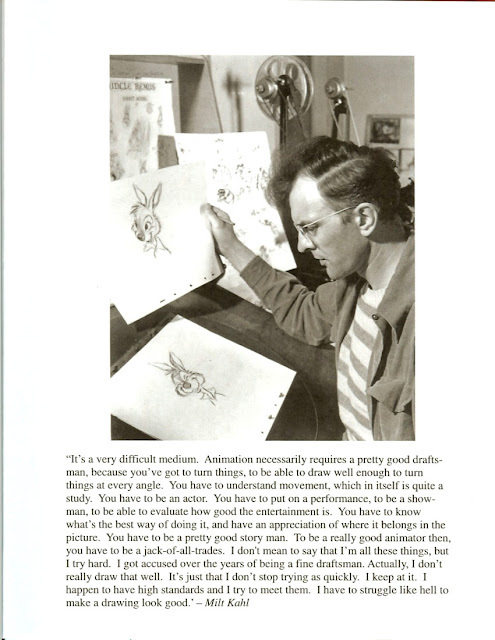 We showed film clips, vintage interview outtakes, pencil tests and much more. 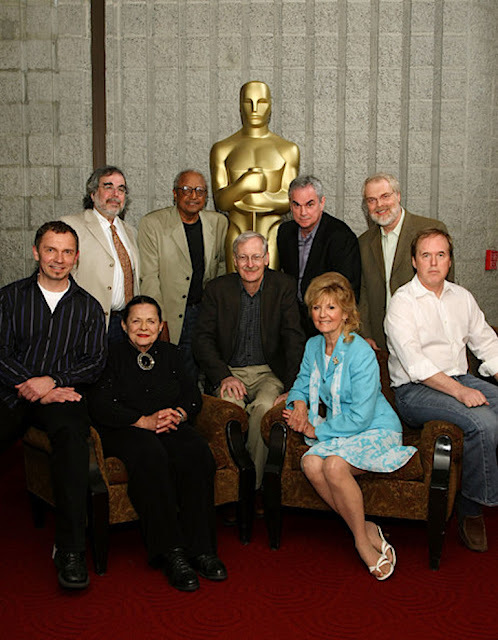 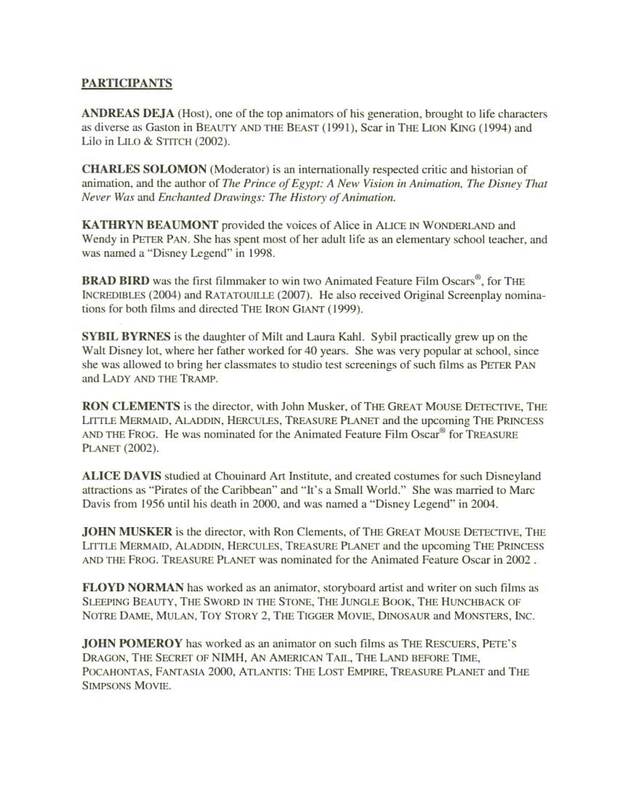 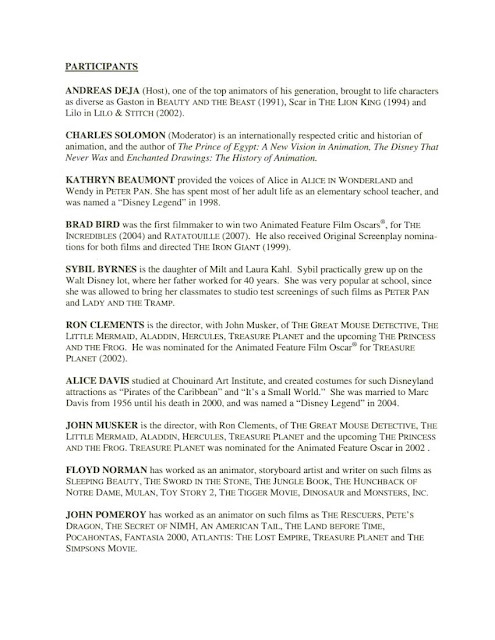 Next to me is Alice Davis, then Kathryn Beaumont, Brad Bird, John Musker, Charles, Floyd Norman, John Pomeroy and Ron Clements. Here are pages from the event's program (courtesy of Hans Perk). 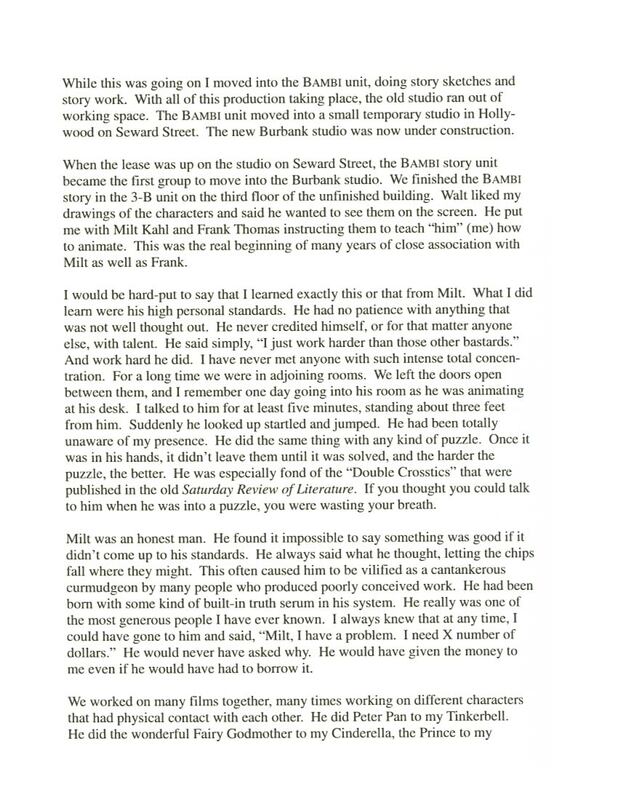 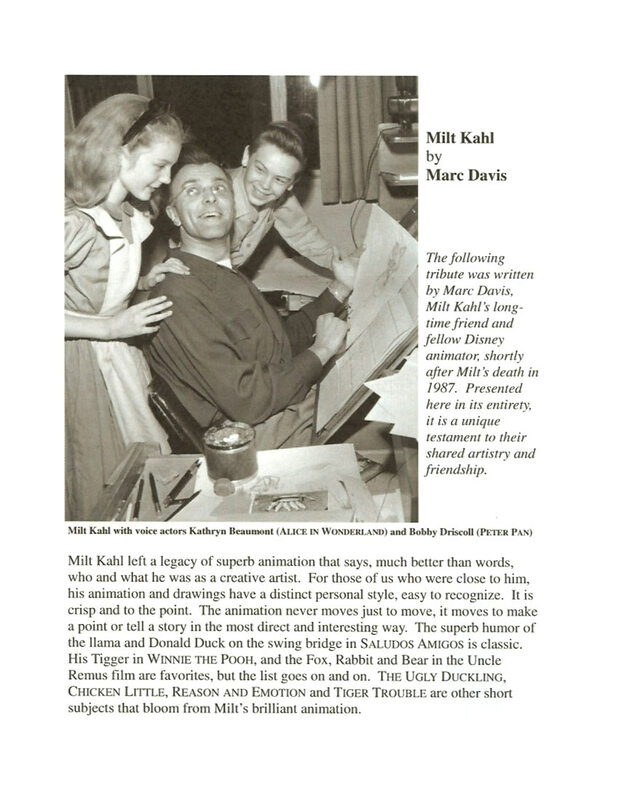 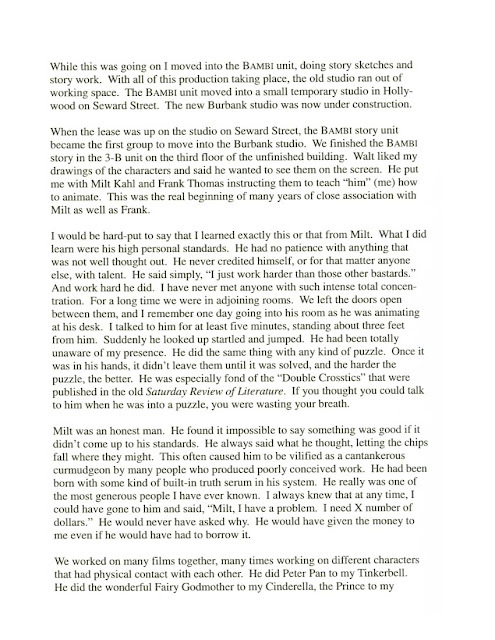 Marc Davis' remembrance of his friend Milt Kahl is particularly touching.